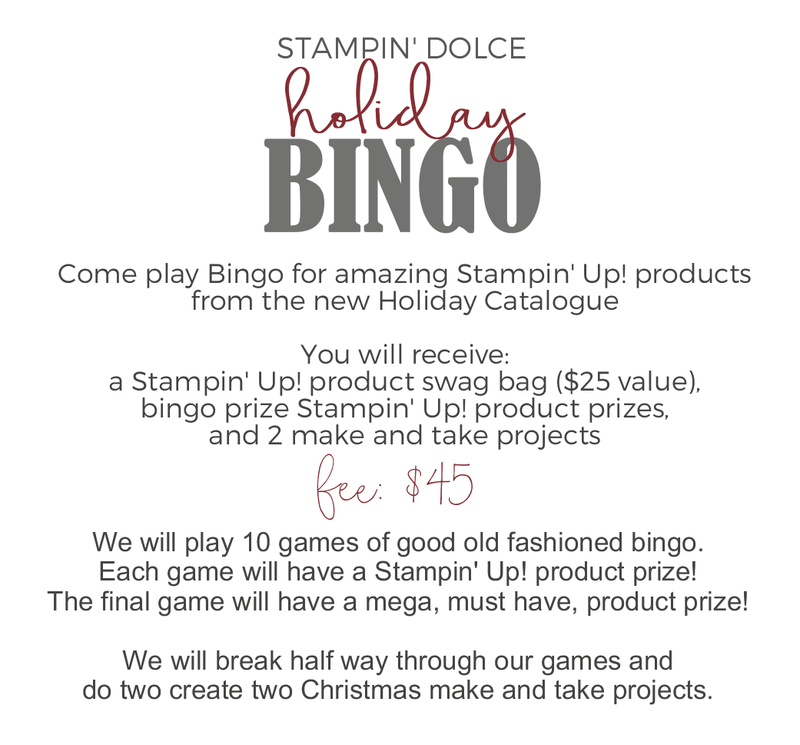 Stampin' Dolce: Holiday Stampin' Bingo Night - Registration open! 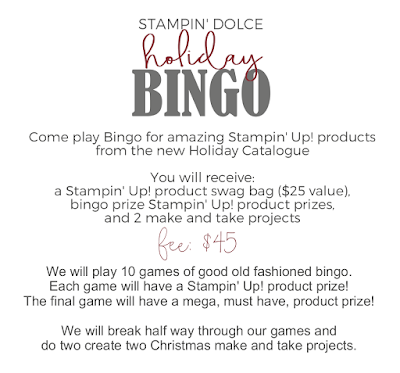 Holiday Stampin' Bingo Night - Registration open! 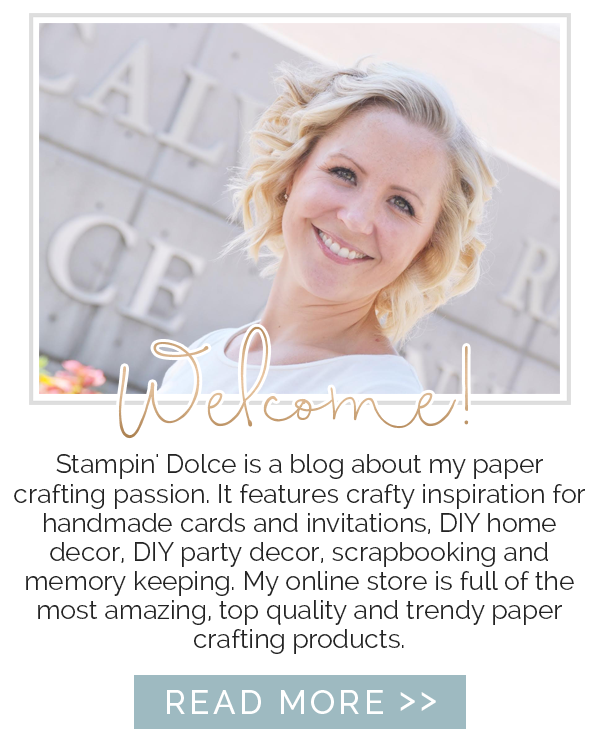 This summer I hosted Stampin' Bingo. It was so much fun that I just had to do a Holiday edition this fall! So what is all the hype about? I blogged recently about the event. Click here see more. When my guests arrived, they snacked at a Pinterest worthy popcorn and candy bar. 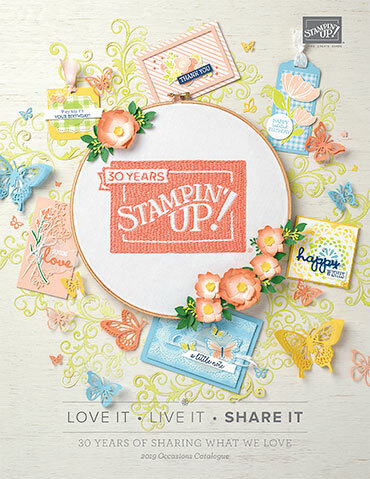 At each place setting I had a swag bag filled with $25 worth of Stampin' Up! products. We played 10 games of Bingo. 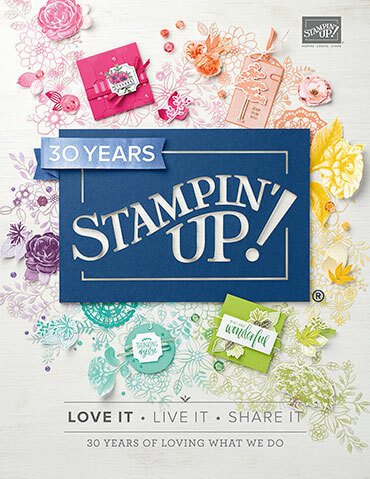 Each game was played for a Stampin' Up! product. 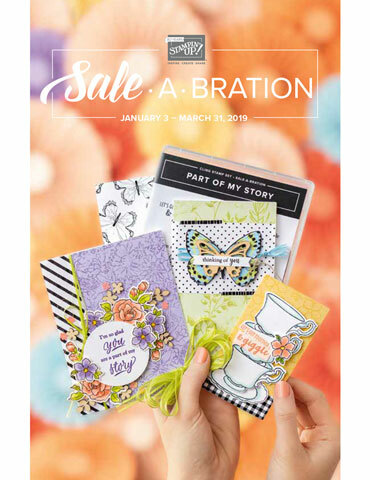 I had ribbon, designer paper, stamp sets, punches and more for prizes! There was so much excitement! You will love this event. Registration is open. Email kristafrattin@yahoo.com to register. Registration closes September 19, 2016 at 5:00 PM. Payment is required to secure your registration. Payment is a final sale and is non-refundable.